Personally, I’m just as big on mesh networks and environmental sustainability as I am on p2p trade networks. The green energy advocate and the cryptocurrency user seem worlds apart. Yet both communities need to be talking about NANO. But why should a green-energy advocate care about a cryptocurrency, and how energy efficient is it, really? To answer that, we need to first look at where Bitcoin failed, and where NANO is fixing the problem. Bitcoin had potential. With its original lack of centralization, low transaction fees, and fast transaction speed combined with relative anonymity in purchasing, Bitcoin could have been the cryptocurrency to demolish the central banking system once and for all, and transform currency and our entire market structure into a free market system. In fact, where fees were originally less than a cent, even a $40 transaction can now have the equivalent of a $4 fee attached. Where there was a lack of central authority and general equality, there are now bitcoin whales and banks. Where there were near-instant transaction speeds, there are now sometimes days of waiting for trade confirmation. And while all this is happening, Bitcoin is so energy-inefficient that it 950 KWH (kilowatt-hours) per transaction. To most people, that’s just a number. So for comparison, the average American household consumes 867 KWH per month. 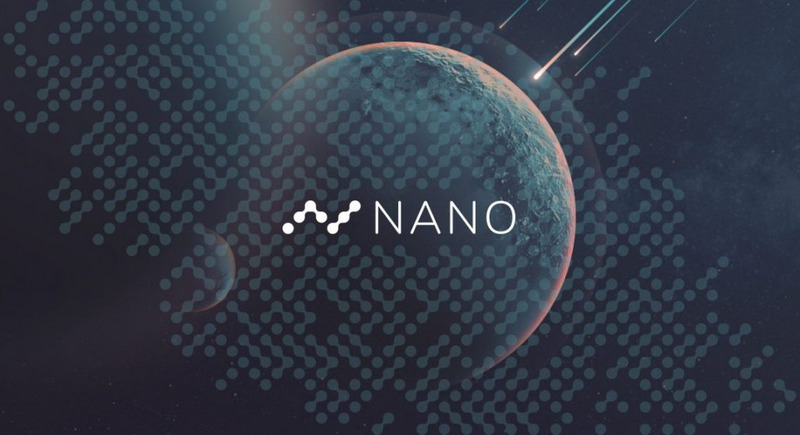 NANO does not have the same problem of centralization as Bitcoin does, or even a regular blockchain-based cryptocurrency, because NANO uses a system called the block-lattice. With the block-lattice, every person has their own blockchain. It’s very similar, in that respect, to mutual credit - a term the left-libertarians may recognize. In fact, it’s extremely similar, because it practically only exists between the sender and the receiver. So how do they avoid someone lying about how much NANO they have? Like regular blockchain money, NANO does have a puzzle that the computer has to solve in order to validate. However, it’s been set up to be both energy-efficient for your computer and made extremely hard and time-consuming for someone to try to spam or hack the network. Here’s a video explaining it a little better, also with closed captions. So how energy-efficient is NANO, and why do I call it a green crypto? NANO, unlike bitcoin, only consumes 0.000032 KWH per transaction. An LED light-bulb, comparitively takes an hour to consume 0.005 KWH. Essentially, you would need to be making about 150 NANO transactions an hour to consume the same energy. And because all the coins that are in NANO are still there, and will not be added to, it will never get less energy-efficient. And right now, that makes NANO over 8,467,023 times more efficient than Bitcoin, which surprisingly is still more energy efficient than the Federal Reserve. The whole network is so energy-efficient that it can work off one wind turbine, and the NANO community is working to buy a small 14 square kilometer forest so that they have a negative carbon footprint rather than just a neutral one. It’s not perfect, sure, but it’s great news in working towards a sustainable future.